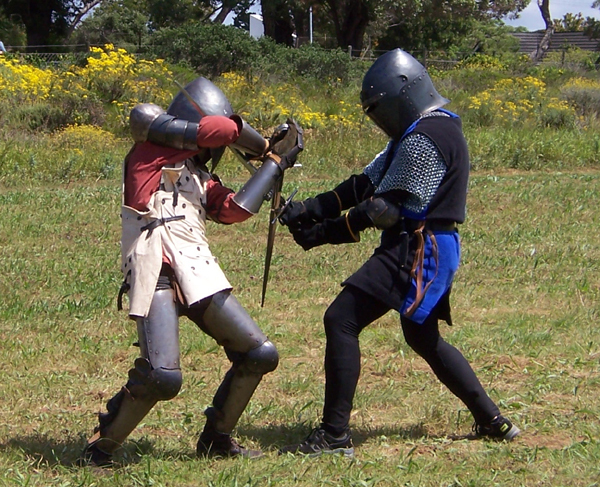 This month’s piece introduces the readers of steelfighting.com and the membership of New Ulster Steel Fighting to the South African Guild for Medieval Combat Studies, and the organization’s founder, Grand Master Heinrich Jost. I am very blessed to have been able to engage in some excellent correspondences with Mr. Jost, and have found a number of parallels between the South African Guild for Medieval Combat Studies (SAGMCS) and New Ulster Steel Fighting (NUSF) here in Texas. I hope that you all enjoy this interview, and I am sure you will find it very informative. Opening by Mr. Jeff Webb (NUSF): First of all it is a great pleasure and I thank you for taking the time to tell our members and visitors about yourself and The South African Guild for Medieval Combat Studies. Please tell us a little bit about yourself. 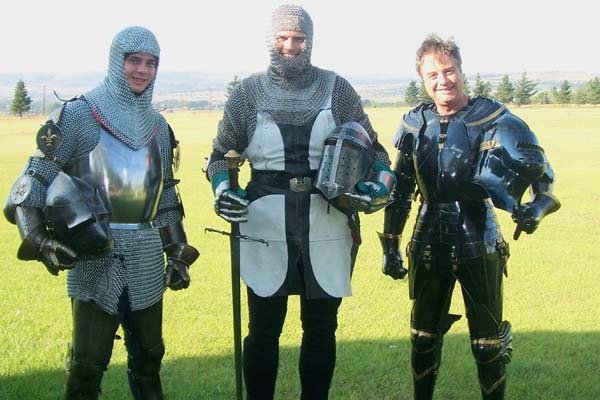 Mr. Heirich Jost (SAGMCS): My name is Heinrich Jost and I am the Master-at-Arms of The Fourways Society for Medieval Combat Studies and Grand Master of The South African Guild for Medieval Combat Studies. We are based in Johannesburg in South Africa. I am a third generation German/Austrian South African and the eldest of two sons from Hendrick Jost (my father) and Lente Meyer (my mother) and we are proud descendants of renowned Sword Master Joachim Meyer. My lineage traces back to the earliest crusades and my forbearers were of the Teutonic Order of knights. I was born on the 20th of April 1970, in a little town on the most southern coast of Africa, called East-London. 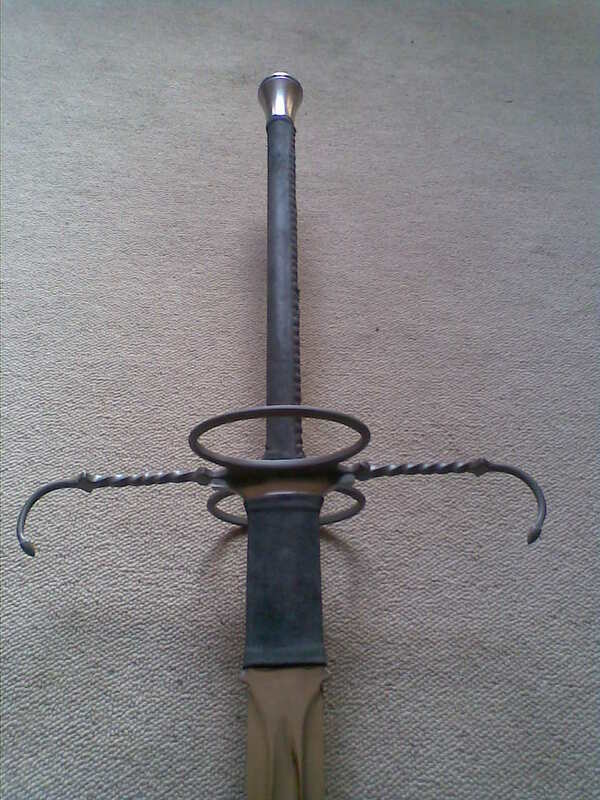 Mr. Webb: At what point in your life did your interest in Medieval combat techniques take hold? 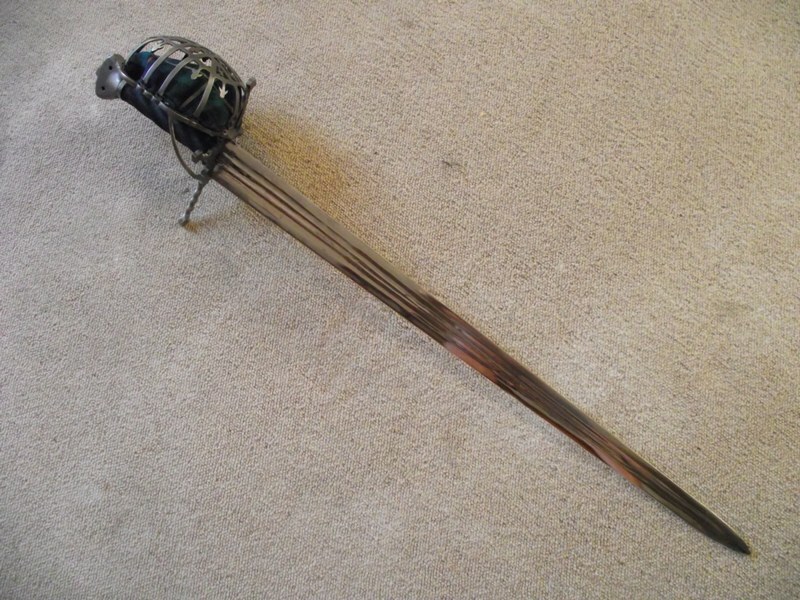 Mr. Jost: As with so many who share a passion for all things knightly, for me it started from an early age where stick swords and cardboard armour with trash can lid shields were wielded with total abandon. My mother has a very fond collection of photographs of me as a youngster, with a wooden sword stuck through my belt and a bow and quiver strapped over the shoulder. I cannot recall the amount of times we got into trouble for arriving home bruised and bloodied from a day of total war against the local neighbourhood kids. Today I think they call it gangsterism, but be that as it may, I grew up with all my limbs and eyes still in place and I was not arrested. This passion never left me and even in adulthood, and after serving in the South African military, the completion of my university studies and the pursuit of a career, the knight within was still yearning for more. My wife recently remarked to a friend that this boy is still a boy, his sword is just bigger and sharper and his armour heavier and noisier. Mr.Webb: It is safe to say that you and I have a great deal in common, as do our martial organizations based on Medieval combat and chivalrous conduct. 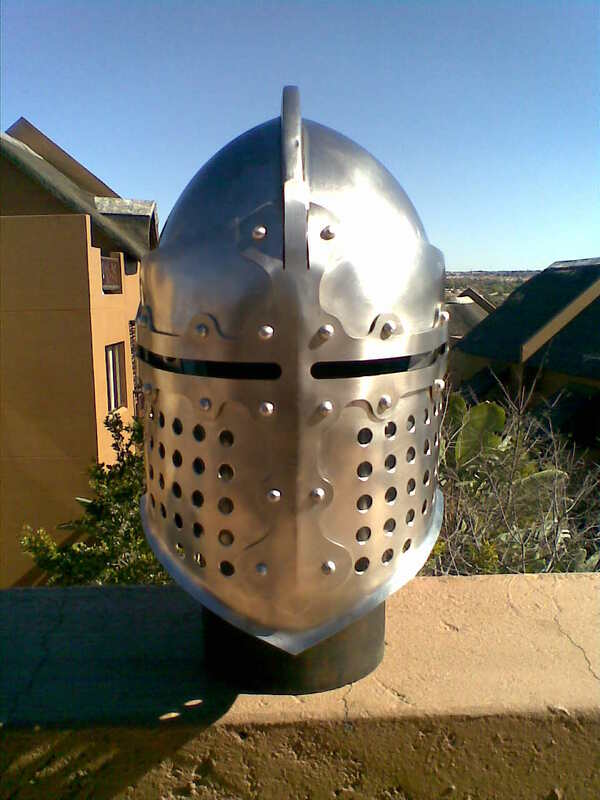 Can you tell us about how the South African Guild for Medieval Combat Studies began and the part you have played in its creation? 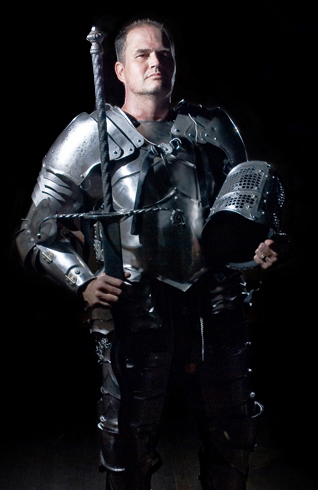 Mr.Jost: I am the founding member of The South African Guild for Medieval Combat Studies which was formed around 2003. 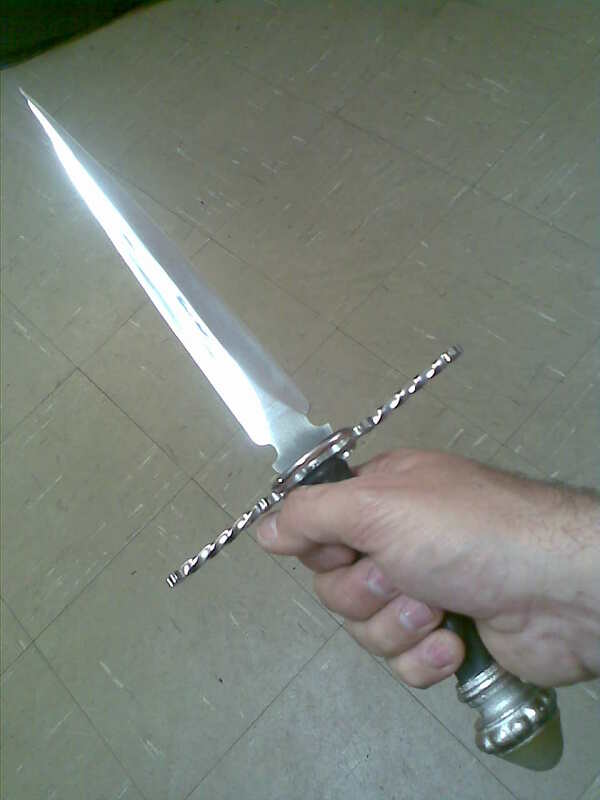 My idea at the time was to use sword-play as a means to gain and maintain fitness. I was a pro-cyclist at the time and wanted to do something off the beaten track and something novel as a means of cross-training. At the time Billy Banks was quite big with his Taibo and my thought was that if he could do it with an Eastern form, why can’t we do the same, but with something closer to our own heritage and history. Subsequently, I made contact with many of the local clubs and societies, as well as clubs and societies in Europe and the US. In 2005 EMASA (European Martial Arts South Africa) was born. It was formed as an affiliation and not a governing body. The general consensus was that we wanted to preserve the autonomy and flavour of each of the member clubs. 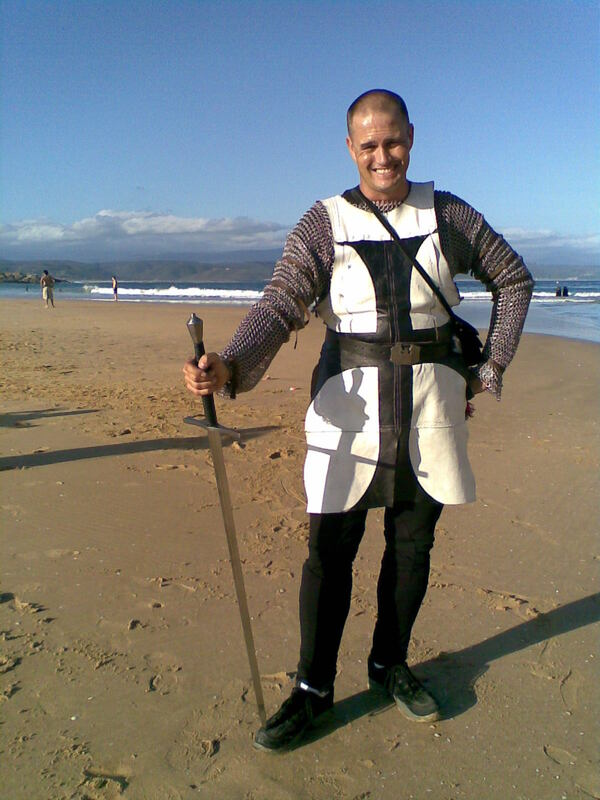 In September 2005, the inaugural EMASA Nation Sword-fighting Championships were held, hosted by the Durban Sword and Shield Club. We have held one every year since. Mr. Webb: There is definitely an increase in the interest of what many are calling Western Martial Arts (WMA). Here in the United States we are seeing an ever-increasing number of people interested more so in the martial arts themselves rather than simply re-enacting at fairs, or taking part in live action roll-playing. 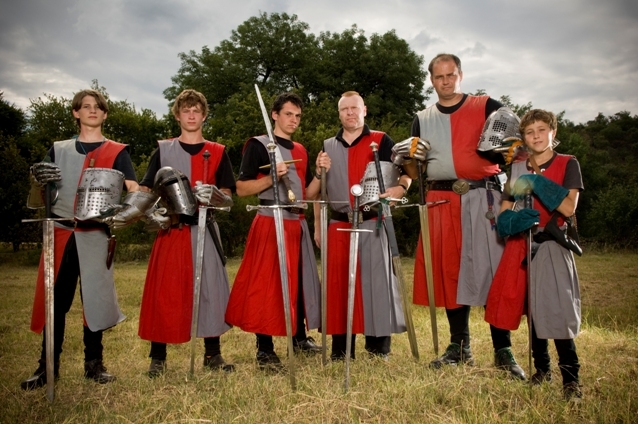 People are really starting to seek out where they may learn the martial art forms and techniques of the knightly class and the rank and file Medieval soldier as well. It is a wonderfully rewarding and rich art to train in and I am so very blessed to be able to continue its study, and to aid others in learning some of its many forms. I know that you are not only a Master-at-Arms and a Grand Master, but you are also an experienced smith. I have seen some of your work and it is without question absolutely beautiful as well as practical and functional. 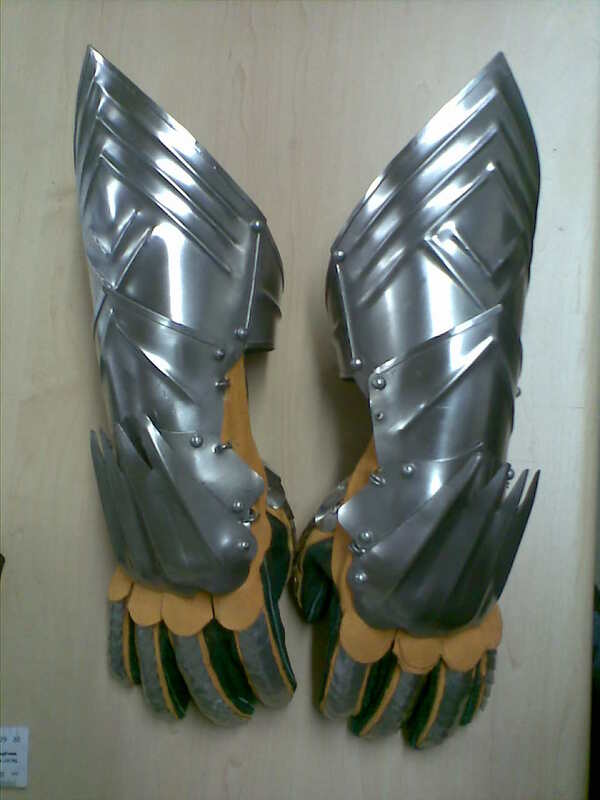 What caused you to take on the challenges and even deeper interest in the production of armour and arms? Mr. Jost:With the obvious and expected growth and influx of enthusiasts and sword-practitioners, there was a great need for armour, weapons and equipment. We had only a handful of smiths and craftsmen and women and the bulk of our equipment had to be imported from abroad, at huge costs (the Rand/Dollar exchange has never been great). The only way I could assure myself of a decent quality weapon was to make it myself. Out of frustration and maybe even some desperation due to poor quality and expensive imports, I started designing and creating my own range of swords and armour, even if just to cater for the needs of my guild members. It was not long before other clubs wanted me to supply them with the same. 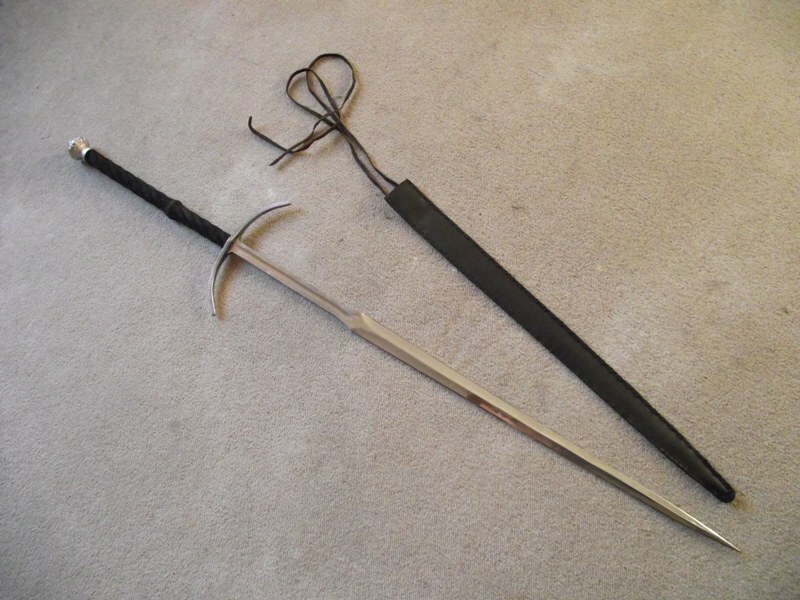 Having had the practical combat experience, I was able to bring onto the market, swords that are ideally suited for full contact combat/sparring and test-cutting and above all else affordable. 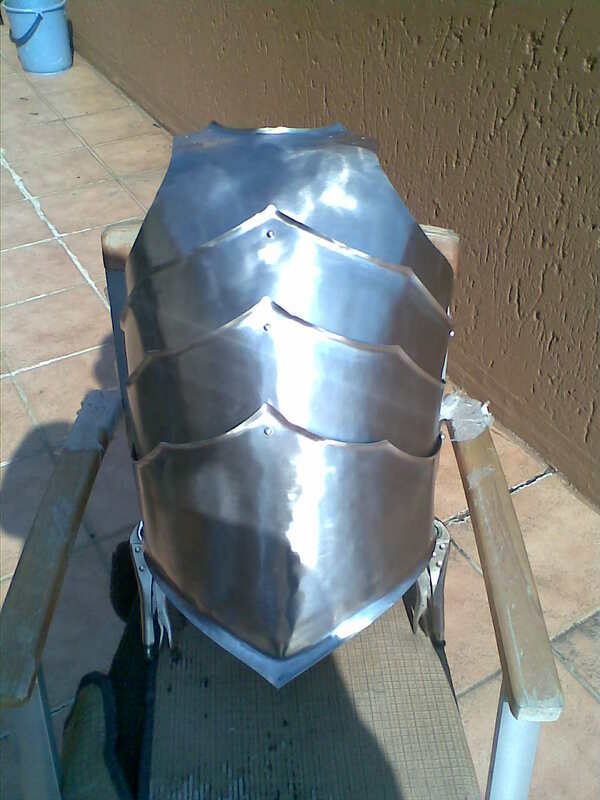 Mr. Webb: I can certainly tell you that I am impressed with what I have seen from your craftsmanship and I would love to commission the production of some armour for myself. I hope that many others do the same. Thank you very much for telling the visitors of steelfighting.com and the members of New Ulster Steel Fighting more about your outstanding organization, The South African Guild for Medieval Combat Studies and its Societies. Clearly NUSF and SAGMCS share a sincere passion for the Medieval martial arts and for the study of its related history. I can say that we at New Ulster Steel Fighting here in Texas feel very blessed to be associated with and to share a friendship with The South African Guild for Medieval Combat Studies. Thank you once again, my friend, and God bless you and yours, sir.